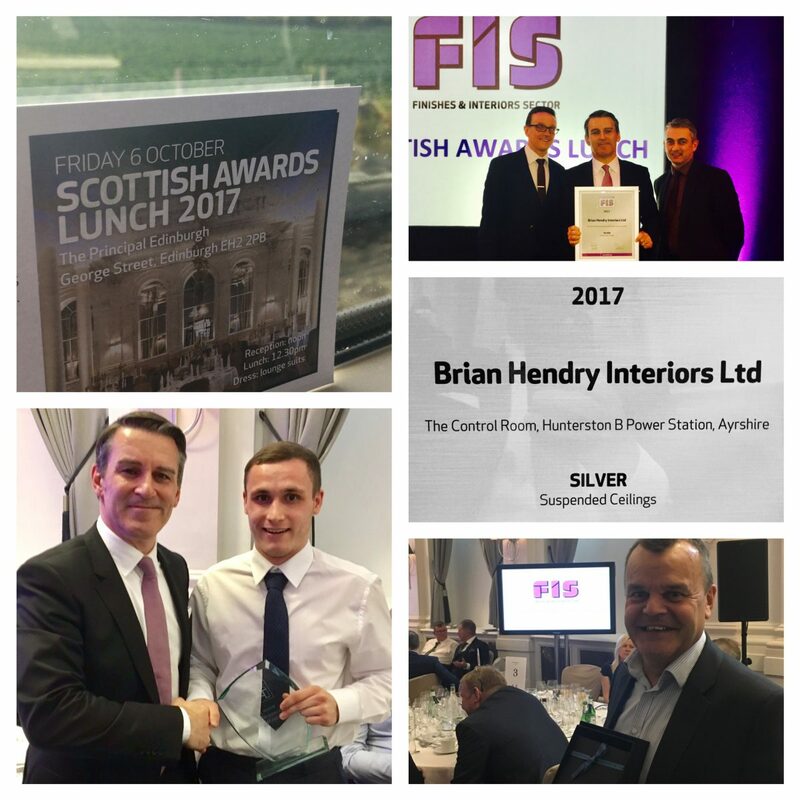 On Friday 6th October 2017, the FIS held its second Scottish Awards Lunch at the Principal Hotel in Edinburgh. Over 100 members and guests attended the event to hear the winners announced. In the Suspended Ceilings category, Brian Hendry Interiors was proud to receive the Silver Award for its contract at Hunterston B Power Station. For a second consecutive year, The Apprentice of the Year category, was awarded to the company this time won by Jordan McKay, recognising all the efforts of staff and tradesman alike and the companies commitment to ensuring young trades people are recruited into the specialist interiors sector of the construction industry. Brian Hendry Interiors were delighted to be one of the charity prize sponsors of the night, helping to raise over £1,100 for Hansel Fundraising.